Kacey Fairling returns home after a crash during her last tour of duty in Afghanistan. She's found a job as the new head pilot for the PEAK Search and Rescue Team. Maybe some time away from the military will help her reconnect with her teenage daughter and parents. Ben King's singing career suffers a devastating blow when his partner strikes out on her own. Since his father is struggling with an injury, he returns to Mercy Falls to help him out. In the back of his mind, he hopes Kacey will be there. He's never loved anyone else, but their lives took a sharp detour 13 years ago. 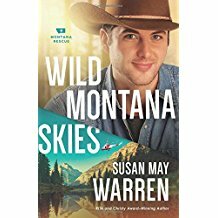 This is book 1 in the Montana Rescue Series, and I'll definitely be getting the next book. 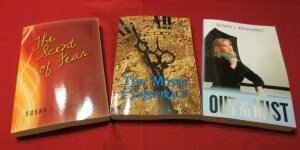 There's a strong spiritual thread, but the characters are far from goody two shoes. They have the emotional scars to prove it. It's a strong theme of forgiveness and second chances. I love the combination of romance and suspense. Susan May Warren has a talent for throwing in a twist when you least expect it. Hmm, it sounds like real life, doesn't it? Five stars for this book. Writers: This book uses detailed knowledge of rescue operations. Have you given your characters an unusual occupation? Please share. Readers: When a novel includes elements of suspense, does the tension keep the story moving for you? Please share your thoughts. I don't think I've ever read any of Susan Warren's books. Maybe when I have more time over the summer, I'll check them out. Thanks for the review! I want to get all the books in this series. The characters hooked me big time.